This weekend was low-key - a birthday party and family time. Saturday my friend hosted a birthday party at Disney's Grand Californian Hotel for her twins who turned 3. Their birthday cake was adorable and so we they as they blew out their three candles together! Sunday I hung out with my parents for a relaxed Mother's Day and we enjoyed a BBQ and cupcakes. Disney-themed birthday cake // The twins blowing out the candles! What are you blogging about today? 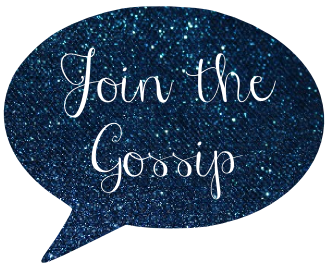 It's your turn to gossip. All topics are accepted for this weekly blog hop. Link up and meet new friends! My mom peed over your mom's dog when she saw it on IG! Aww that Disney cake is so cute! Looks like a lovely weekend! That cake is fabulous! Hope your mom had a wonderful Mother's Day! a low-key weekend is always in order. Your dog being cute as always! I'd love to live close enough to Disney for Disney property birthday events. I love your curled hair, very pretty! So cute! Looks like such a great weekend! The disney birthday cake is awesome!!! This sounds like so much fun! And that drink looks DELICIOUS. Looks like a fun weekend. Such a fancy hotel for a kid bday party! Cute cake! I totally love you with curly hair, it inspires me to turn on my curling iron. What a fantastic place to have a birthday party. Looks like fun! Fun weekend! Those boys are so cute. What an awesome place for a party! I love that pic of your dog so much! You should frame it! LOVE the idea of a party at Disney! And those cupcakes look so yum!